Want to find out what being in the thick of a 100-man battle against an intergalactic space-cult is like? Want to fight a hoard of technological zombies or try and keep the peace with dodgy alien shapeshifters? To sit around a campfire with a makeshift family, drink mead and run through the woods to fight werewolves from ancient myth or mutant experiments abandoned long ago? 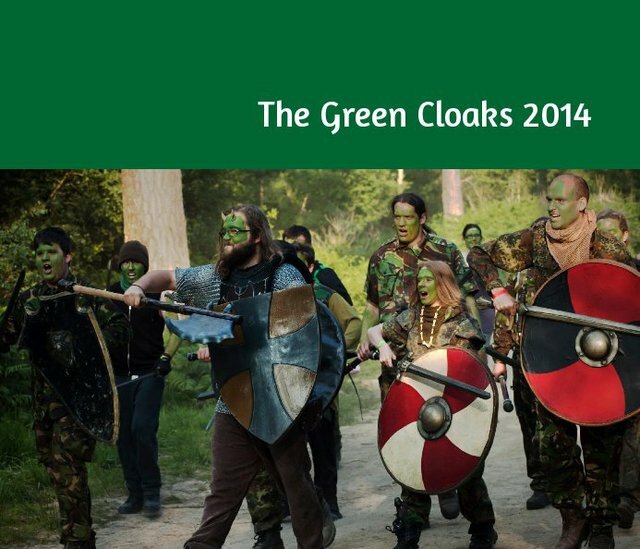 The Greencloaks is a young sci-fantasy LARP set in the far-future, with war roaring between the Terrans and the One-Bakkar. Horror, action, and intense roleplay backed by a dedicated crew and a beautiful location.